The undersigned organizations and groups denounce the continuity of issuing judicial verdicts against Human Rights Defenders (HRDs) and Women Human Rights Defenders (WHRDs) according to the violation of the Protest and Public Assembly Law, and call for the renunciation of the verdict against activist Maheinour El-Massry and revision of the faulty law itself and the verdicts issued on its basis against a large number of civilians. 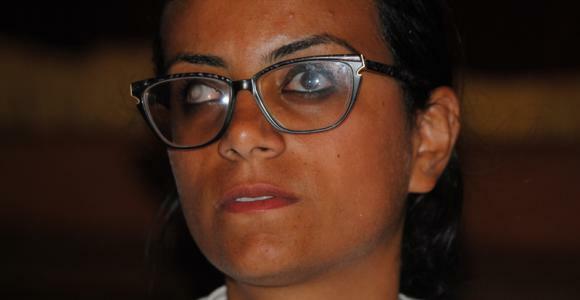 The Sidi Gaber Misdemeanor Court in Alexandria confirmed on May 20, 2014 a verdict the El-Manshia Misdemeanor Court in Alexandria had issued against Mahienour on January 2, 2014 by incarceration in prison for 2 years and a fine amounting to 50000 Egyptian Pounds, due to charges of demonstrating without permit and assaulting security forces. The verdict issued is based on the participation of Mahienour, along with others HRDs, including Loay Mohamed AbdelRahman, Omar AbdelAziz Hussein, Islam Mohamed Ahmed, Nasser Abu ElHamad Ibrahim, Hassan Moustafa, Moussa Hussein and Hassan ElSayad, in a peaceful demonstration on December 2, 2013 during the conduction of one of the court sessions of the case of the murder and torture of Khaled Said. Security forces had resorted to excessive force in the dispersal of the demonstration. When one of the demonstrators, namely Dr. Taher Moukhtar, previous member of the Physicians Syndicate and one of the founders of Doctors Without Borders Movement, was injured as a result of being beaten with a steel baton on his head by one of the police officers present, a number of those participating gathered to separate between them, but they were beaten via punches and batons and random arrests took place, including student Islam Mohamed Hassanein who was on his way to board a vehicle to travel to his village close to Rashid, after he had attended an academic exam in a nearby place. It is also worth mentioning that what happened in the court session yesterday is a violation to the right to defense, as Mahienour’s lawyers were unable to present their defense either before the court or the prosecution, as she did not attend the investigation before the prosecution, in addition to the court’s denial of requests by the defense of referral of the case to the Head of Alexandria Court for assigning a different judicial district, due to the fact that the judge presiding the case had a firm belief regarding the case, and the defense had requested time to prepare for pleading the case, which the judge who issued the concerned verdict yesterday had ignored. And the organizations view this verdict as part of targeting HRDs and WHRDs by using repressive laws that have been issued in the absence of an elected parliament and were designed specifically to target and punish various opposition figures who shed light on continued human rights violations. And the organizations affirm their fear of the use of the judicial system in silencing voices of opposition, which forecasts the demise of the pillars of a nation of law, which is a primary pillar of the legitimacy of the nation in the eyes of its citizens. 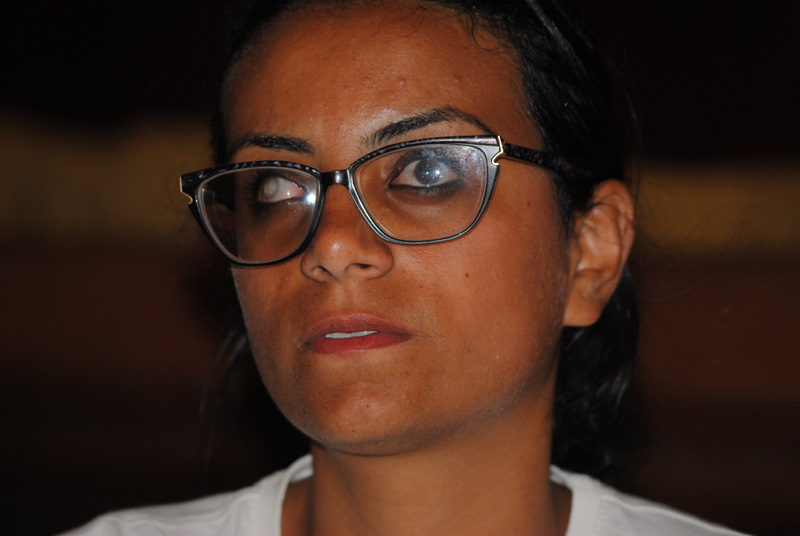 And the undersigned organizations and groups are gravely concerned that those responsible for incarcerating Mahienour will conduct various violations against her that include torture, which have become a common practice by the authorities, according to the continued documentation that organizations and groups in the field of human rights conduct. 1. Andalus Institute for Tolerance and Anti-Violence Studies. 2. Appropriate Communication Techniques for Development. 3. Association for Freedom of Thought and Expression. 4. Cairo Center for Development and Human Rights. 5. Cairo Institute for Human Rights Studies. 6. Center for Egyptian Women’s Legal Assistance. 7. Daughter of the Land Association. 8. Egyptian Center for Economic and Social Rights. 9. Egyptian Foundation for Advancement of Childhood Conditions. 10. Egyptian Initiative for Personal Rights. 12. El Nadeem Center for Rehabilitation of Victims of Violence and Torture. 13. Hisham Mubarak Law Center. 14. Misryon Against Religious Discrimination. 15. National Community for Human Rights and Law. 16. Nazra For Feminist Studies. 18. The Egyptian Association for Community Participation Enhancement. 19. Women and Memory Forum. 20. Women’s Committee of the Egyptian Social Democratic Party.